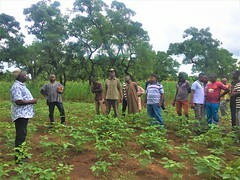 Stakeholders of legume and cereal value chains in Nigeria identified recent successes and set goals for the next cropping season at the recent review and planning workshop of Tropical Legumes III (TL III) and Harnessing Opportunities for Productivity Enhancement of Sorghum and Millets II (HOPE II) projects. Scientists, farmers, seed producers, grain merchants and others discussed challenges of increasing production and productivity of two legumes (cowpea and groundnut) and two cereals (sorghum and pearl millet), as also to enhance seed systems of both crops. Need for farmer-friendly varieties, improving upon current farmer favorites. Management practices specific for improved seeds essential to realize full genetic potential of seed. DNA finger-printing more reliable than names to ascertain exact varieties cultivated by farmers. More in-depth analysis of adoption studies needed to show different components of adoption, e.g. the level of exposure in research areas. 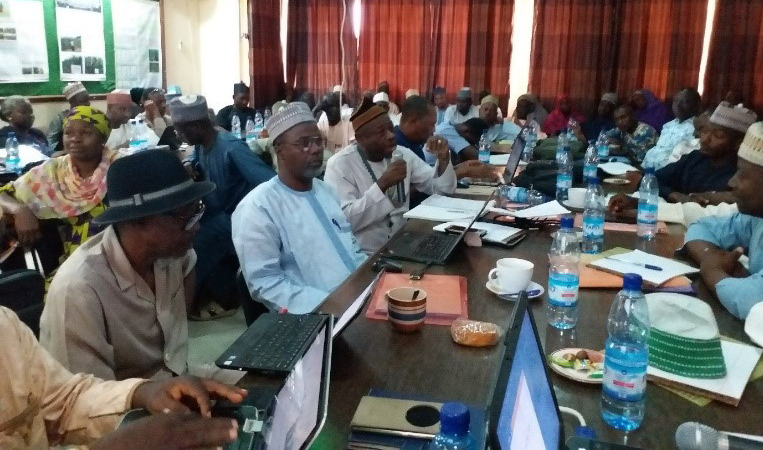 The three-day Review-and-Planning workshop at Kano, Nigeria, during 7-9 March 2018 was attended by 78 participants in the background of the forthcoming cropping season to plan for the 2018. Click here to know more about ICRISAT’s work in Nigeria. More about ICRISAT’s work in sorghum here. Read about ICRISAT’s remarkable work on groundnut here. The dryland cereals and grain legumes are recognized as Smart Food. 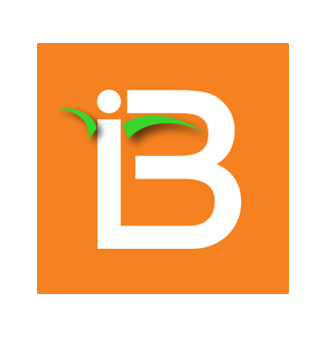 Partners: International Institute of Tropical Agriculture (IITA); Institute for Agricultural Research, Ahmadu Bello University (IAR/ABU); Centre for Dryland Agriculture, Bayero University Kano; University of Agriculture, Makurdi; and ICRISAT.